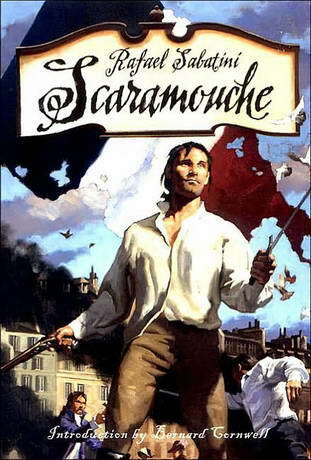 Classic Audio Book CD - Scaramouche is a romantic adventure and tells the story of a young aristocrat during the French Revolution. His successive endeavors as a lawyer, politician, actor, lover, and buffoon lead his enemies to call him “Scaramouche” (also called Scaramuccia, a roguish character in the commedia dell’arte), but he impresses many with his elegant orations and precision swordsmanship. The later film version includes one of the longest, and many believe, best swashbuckling sword-fighting scenes ever filmed. The novel has a memorable start (Book I: The Robe, Chapter I, ‘The Republican’): “He was born with the gift of laughter and a sense that the world was mad. And that was all his patrimony. His very paternity was obscure, although the village of Gavrillacs had long since dispelled the cloud of mystery that hung about it.